If only La forza del destino at Opera Bastille started in the evening then I could have time to play the tourist in Paris. But the opera started 1430. I had read a review of it so I was prepared for a minimalistic version. I was surprised it was very colourful and vivid. I was also prepared for perhaps Marcelo Alvarez would not be singing. But he sang. And he was great as Don Alvaro. I was prepared to be underwhelmed by Violeta Urmana as Leonora, but she was amazing. Vladimir Stoyanov was also much better as Don Carlo di Vargas than the review said. The production had a lot that was good. 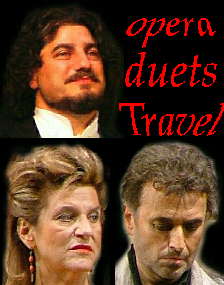 The biggest surprise was that it did not start with the ouverture this time the opera started in the Calatrava castle. After this scene came the ouverture, one of the best performances of the iconic piece. The only thing I would critize Urmana is her use of her arm to show despair, 3 times the same gesture and it gets old. Nadia Krasteva was a wondeful Preziosilla but unfortunately her role was vulgarized by the director. That Preziosilla would walk off with "Pereda" after the scene in the taberna, was not to my liking and not how I understood Preziosilla. Nicola Alaimo was Fra Melitone, too comic and extreme, maybe. Kwangchul Youn was simply wonderful as Padre Guardiano. Mario Luperi was a fine Marchese di Calatrava. I loved it, even if it had some weakness. 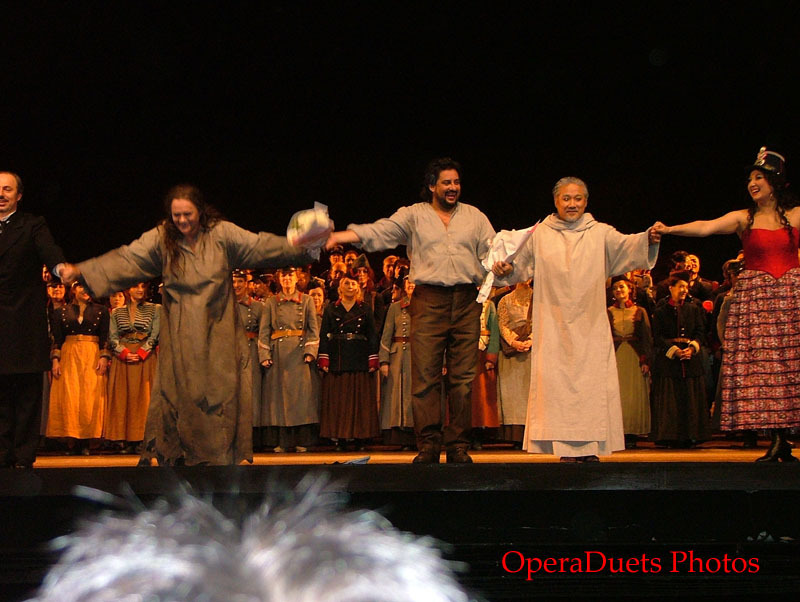 After the opera I waited at the stage door, and I saw Kwangchul Youn, Violeta Urmana, Marcelo Alvarez and Nadia Krasteva.